Mind mapping enables us to untangle our brains by structuring and arranging the information contained within. Forcing us to visualise our thoughts and ideas, mind maps are the result of creative brainstorming processes which helps those involved think on their feet and retain information, quickly. They’re fun, too! The post you’re reading is aimed at providing an introduction to this brilliant form of planning for those unfamiliar with mind maps and the basis of their popularity. We’ll look at the benefits of mind mapping, how it can be used in business and every day life, the tools required to create your own mind maps and, while we’re at it, throw in a few examples of them in action. Mind mapping is defined as “an overview and summary of a body of knowledge that fuses words and pictures together”. Also known as spider diagrams, mind maps consist of a central image from which multiple, colour-coded arms extend featuring labels with additional, related notes and information. 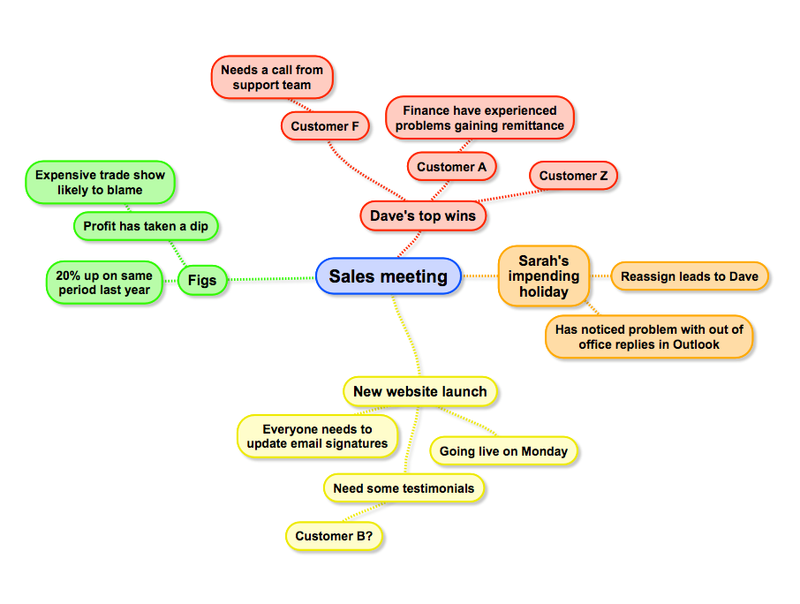 There are a significant number of benefits when it comes to using mind maps for visual planning. As humans, we enjoy visual stimulation, as it helps us retain information to a far greater extent than listening to a tutor or writing down pages and pages of notes. 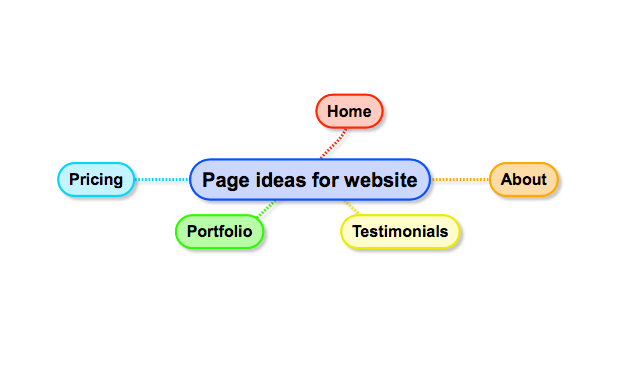 The more you use mind maps, the more their multiple benefits make themselves known. But how can they be put to practical use in every day life? 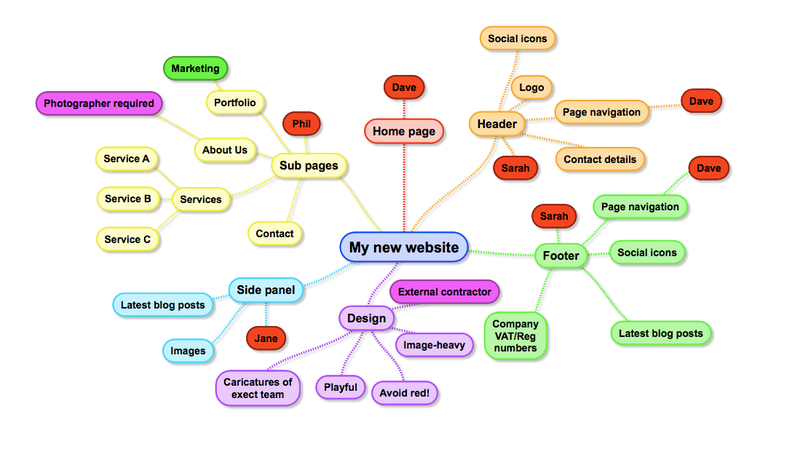 It’s time to look at some of the common uses for mind maps. If you’re ever tasked with writing a blog post for a website, you may find yourself staring nervously at a blank piece of digital paper, wondering what on earth you’re going to write. Thankfully, mind maps are incredibly effective when it comes to brainstorming and planning content. As you’ll see, we started with the main topic, which became the title of this post. From that, we extended out to individual headings and made some notes about the type of content to include. Colour-coding completes a plan for a blog post which is incredibly easy to digest and be inspired by. The art of being productive is a very personal thing and what works for one person may not work for another, but mind maps are increasingly becoming the default method for getting things done. The examples we’ve used so far in this post demonstrate how much easier it is to take on board information, but what they don’t show is the speed with which mind maps can be constructed. Being productive is all about working towards goals in an unhindered, organised fashion and if you can plan work quickly, you’ll reach the end game quickly, too. Planning any task as a mind map can therefore help you get off the ground quicker and it can even replace the more traditional productivity tools. Convert a classic numbered to-do list into a mind map and you’ll have transformed a dull page of words into a vibrant, inspiring picture of what you need to achieve today. How many times have you looked back at your notes from a previous meeting only to be met with a tangled mess of incoherent scribblings and disjointed quotes from those present? Mind mapping could be the answer. By taking meeting notes in the form of a mind map, you’ll be able to follow the non-linear process most meetings go through. Previous topics are usually repeatedly referred to as the agenda is gradually abandoned and, when that happens, a mind map will enable you to quickly pick up from where you left off during the previous conversation. As you’ll note in the above example, your own personal record of the meeting suddenly becomes a very visual affair which will instantly make sense whenever you need to refer to it at a later date. The only limit is your imagination and the great thing about mind maps is that people of all ages can contribute to them and digest the information contained within. As previously noted, if you’ve never created a mind map before, there are no barriers to entry – you just need some coloured pens and a piece of paper. This technique for mind mapping is still one of the most popular today. That may surprise you in an age of apps and digital methods for doing virtually anything, but mind mapping is a highly-visual process and creative tasks are often best undertaken with tools that have been relied on for centuries. However, there are some fantastic mind mapping software tools available for those who would rather let their computer, tablet or smartphone assist with the creative work. What’s more, mind mapping on a computing device is usually more cost effective due to the absence of stationery. It also enables us to store our creations where they can be accessed from virtually any location in an instant. Choosing between paper and software for mind mapping very much comes down to personal preference. Those who are particularly handy with a pen will like the tactile, malleable feel of doing so on paper, whereas people raised in the digital age are likely to head for their nearest app store. Thankfully, the same techniques and principals apply, regardless of the medium on which you choose to create your mind maps, thus enabling you to switch between traditional and digital should you wish. SimpleMind (multi platform). 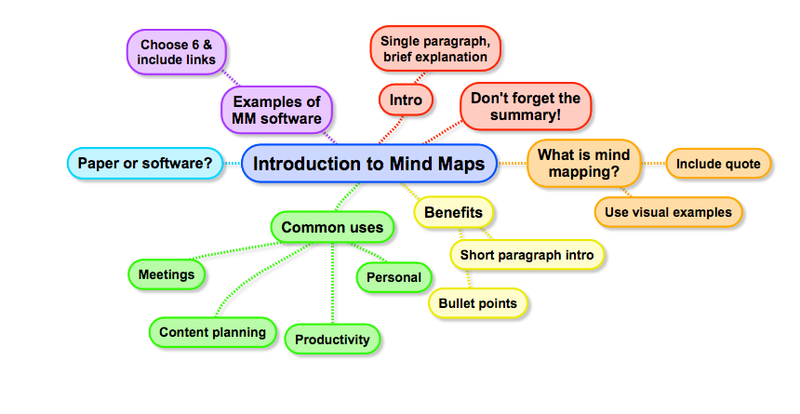 Every example of a mind map we’ve used in this blog post was created using SimpleMind. Few apps enable mind mapping novices to get started so quickly. MindNode (macOS, iOS). If you’re an Apple aficionado, MindNode will let you sync your mind maps to every device using iCloud. It’s also attractive and follows the same user interface guidelines as apps such as Pages, so it should be instantly familiar. MindMapFree (multi platform browser based ). This is a free, browser based mind mapping tool. MindMapFree includes all of the basics features you will need to start your adventure with mind maps. iMindMap (macOS). This particular app has great heritage, as it was developed by none other than Tony Buzan, the psychologist who popularised the art of brainstorming. It can be as simple or as complex as you need it to be, too. MindMeister (web-based, iOS, Android). If you work in teams, MindMeister could be the answer due to its focus on collaboration. It’s also web-based, so can be accessed from anywhere and on virtually any device. Native iOS and Android apps complete a compelling mind mapping solution for novices and pros alike. Mind mapping is a brilliantly versatile method for unleashing our creativity and best ideas. It enables us to untangle our minds and visualise the information contained within through the use of structured spider diagrams. It is, without doubt, one of the most effective forms of planning in business and at home.